I was honoured & super excited to be given the role of leading our large scale installation to frame the entrance of our dinning space - Installations are my favourite ever!! 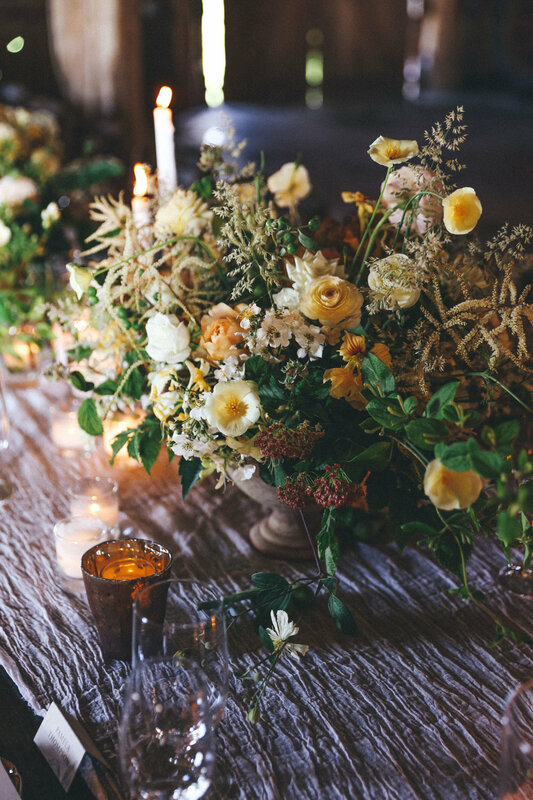 Together, with my gorg friends Jenn (Field Day Creative), Nina (Trillium Finch) & the amazing attendees of the workshop, we set out to flower up this enchanting installation to feast & mingle under. After an initial demonstration of installation basics and design questions, attendees split into teams. Some stayed with us to complete the installation and others headed off to work on other elements with the rest of Team Floret. 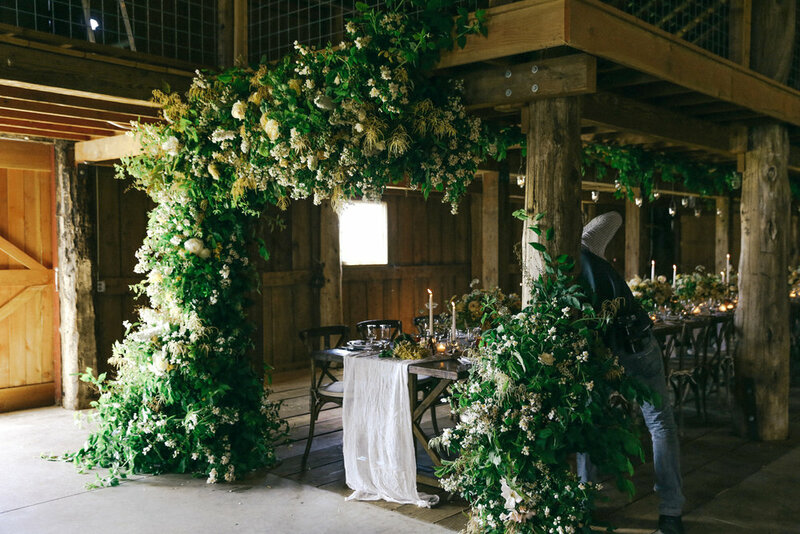 The food table, barn entrance & dining table were illumed by golden toned florals, candles, statement urns & finer details curated by the other two teams. Towards the end of this post, is a staff photo I just had to have... You can see it really takes a big, hardworking and fun team to pull off a workshop of this size! 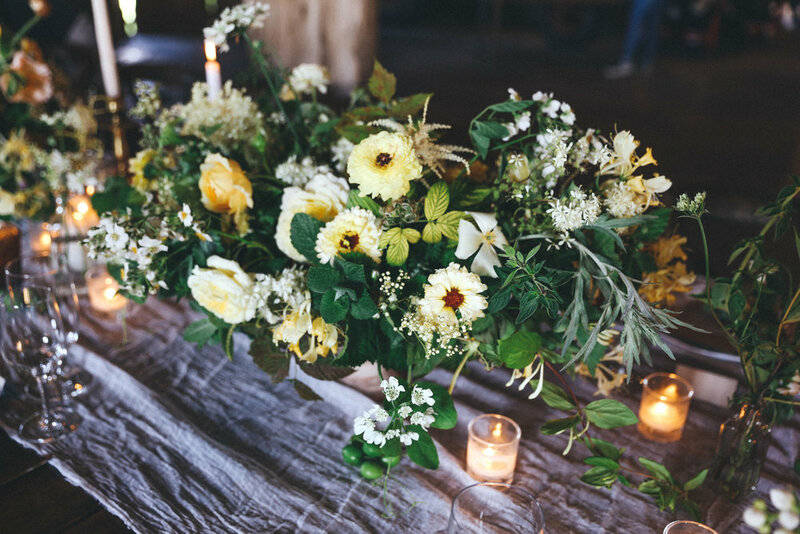 Erin (Floret) has really led the way with all things workshops and flower growing, and I'm super excited to see what she does next. Jenn & Nina & I - I love these two ladies! !